Legend has it that if you behold an elusive flicker of green light above the setting sun, you will acquire telepathic powers. While evidence is scant for the supernatural properties of the so-called green flash, the celestial phenomenon is very real. Green flashes occur regularly on the Pacific horizon when the atmosphere, acting as a prism, scatters the light at sunset, allowing only the greens and sometimes blues or violets to survive their trip to the observer’s eye. The color emerges less as a flash than like the peel of an onion rising off the sun and melting into the sky. 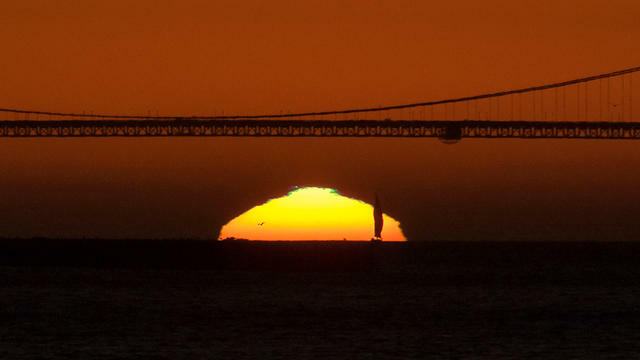 For generations, coastal Californians have traded stories about the green flash, with only some claiming to have seen it with their own eyes. Others regarded it as a hoax. The moment is fleeting — lasting a mere second or so — and easily missed by the untrained spectator. Depending on variables like wind, haze, clouds, and the observer’s vantage point, it is often not visible at all to the naked eye. But green flash enthusiasts say your chances of seeing one are about as good along the West Coast as anywhere. Last December, Jim Grant, an amateur photographer in San Diego, captured an image of a lime-colored blob atop a sunset enhanced by wildfire smoke (seen at the top of this post). 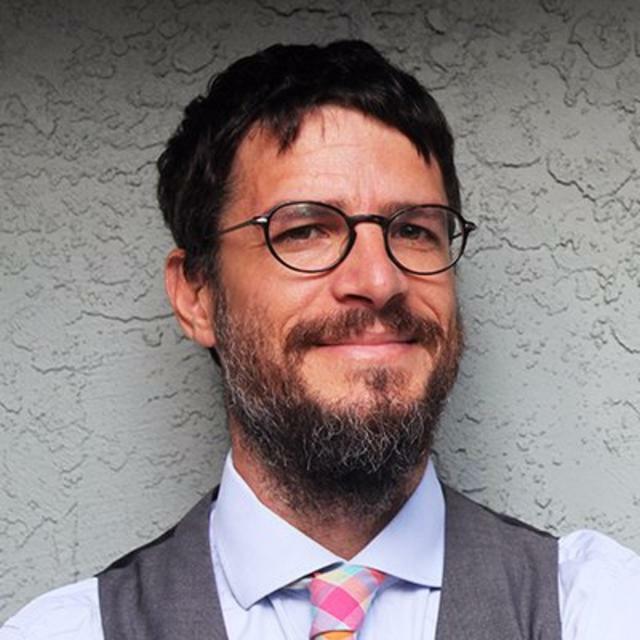 The image circulated widely on social media and in the local press, leading at least one prominent meteorologist to pronounce it the best photo of the event he’d ever seen. There was also another kind of reaction to Grant’s image: astonishment from Californians who had until then been green flash deniers. See more images of green flashes taken along the California coastline below. 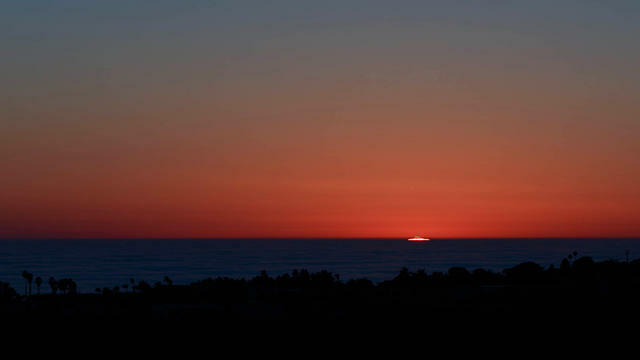 A green flash seen from Morro Bay on the Central Coast. 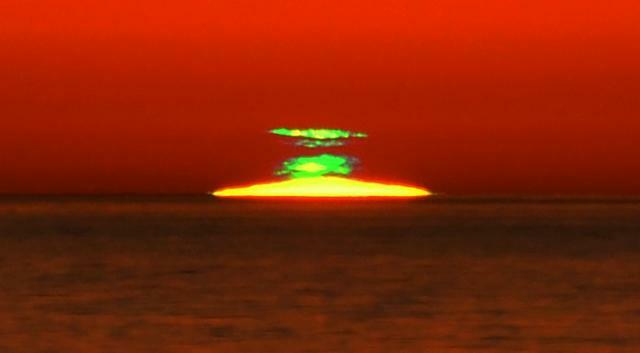 A green flash off of San Francisco. 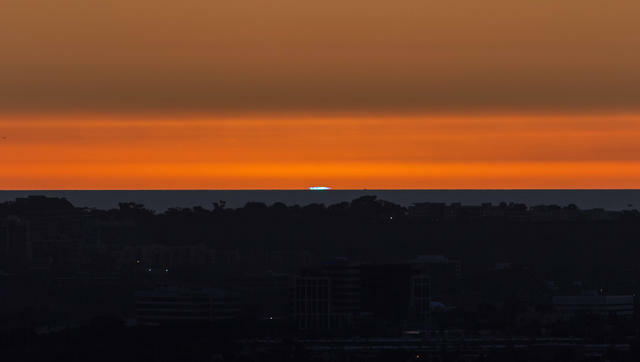 A green flash off San Diego. A flash with a blueish tint off San Diego. 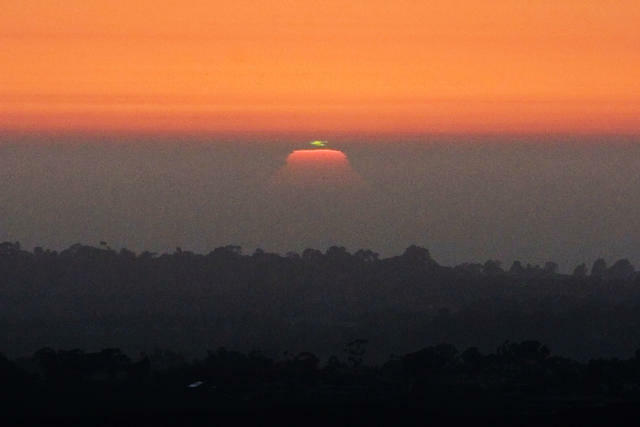 A green flash observed from a vantage point near Los Angeles.